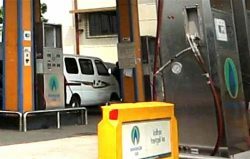 According to figures made available by Mahanagar Gas Ltd (MGL), the population of natural gas vehicles in Mumbai region has gone up by 320 per cent in 5 years. 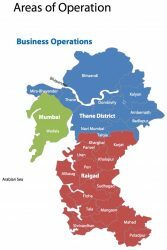 MGL is the sole authorized distributor of CNG and PNG in Mumbai, its Adjoining Areas and Raigad (district to the south of Mumbai) with a more than 21 year track record in Mumbai. Across these areas, it serves more than 0.545 million natural gas vehicles. Over the next few years, the company plans to increase the number of CNG stations in Mumbai to about 330 and expand the steel pipeline network to around 600 kms, and the PE pipeline network to over 5500 kms. Of the nearly 3.39 million private cars in the Mumbai metropolitan region, nearly 260,000 reportedly use CNG. The government is actively encouraging car owners to use CNG by giving tax concessions to buyers of CNG vehicles, bi-fuel vehicles or retrofitted vehicles. CNG kits cost between USD 610 and 690. Low price and good mileage are the prime motivators; CNG is about 51% of the price of petrol. Furthermore, it has been estimated that pollutant emissions have been reduced by about 1,300 kg per day. Despite the regulatory environment creating “strong barriers to entry and incumbent advantage”, MGL’s managing director, Rajeev Mathur, says that good progress is being made. “The metropolitan population is fast realising the importance of converting vehicles to CNG. There’s no doubt that CNG is the fuel of the future and if we have to preserve our environment, we need less polluting fuels like CNG and PNG (piped natural gas), which also cost less,” said MGL’s managing director Rajeev Mathur. MGL data shows that CNG-run autorickshaws in the region grew by around 60 per cent in five years, compared with 20 per cent growth in CNG taxis. CNG bus numbers have remained stable..
As at August 31, 2017, MGL says it’s CNG powers 257,878 private cars, 61,511 taxis, 238,215 auto rickshaws and over 3,341 BEST/ TMT/ MSRTC/ NMMT buses across the city through its network of 203 CNG stations (June 2017). At least 14 stations are directly owned, the rest are operated by oil marketing companies (OMCs) or are privately owned. MGL, one of India’s leading Natural Gas Distribution companies, is a joint venture between GAIL (India) Ltd and BGAPH (a subsidiary of Royal Dutch Shell Plc).